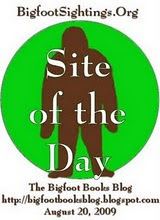 On his notable cryptozoological blog website Loren Coleman has publicly offered to be a speaker for the 50th Anniversary of Bigfoot Days in Willow Creek... for the mere price of his plane ticket out here and a room in the Bigfoot Motel. Maybe we'll have to get the Committee to hold a bake sale? Or collect aluminum cans? Raffle off a Bigfoot cage? The event's coffers are not exactly brimming over with gold these days. What Cryptomundo said: "I often have been amazed with the success of the little town of Roswell, which can have 1.25 million visitors per year tour their little museum. Meanwhile, Willow Creek, with their Bigfoot museum, struggles to get any media attention." A good point, one that only BIGFOOT can answer. Bigfoot Days is a great celebration of the local Willow Creek community, that is its main purpose; but it could be so much more, and can do more good for this little town. We'll say it again. 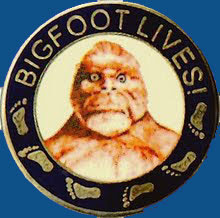 Any of you out there in the bigfooting world who might like to come and speak, set up a bigfoot table for merchandise and information (they only cost $25.00, so if you have a book to sell or organization to promote...), or just attend--do contact us, or the folks listed at the end of this blog entry. I'll assemble an information email list to keep you bigfooters posted as to any progress. Of course, it all depends greatly upon the openness and cooperation of the Bigfoot Days Committee. If we can get them on board (just had a good talk with one of them today!) it may be possible to speak from the main stage later in the day, after the bands, or else to get the VFW folks to "donate" the use of their hall (this is where the 2007 40th Anniversary event was held to celebrate the Patterson-Gimlin Film). If we can help in any way with your travel plans, as well, we'd be pleased to assist. It didn't rain on this parade, but lo, it started sprinkling some right after it ended! Unofficial "mayor" of the hamlet, Steve Paine, officiates again. The folks from Sentinel Winery, makers of Bigfoot Red Wine, appeared with their little dogs and tractor. Groovin' in the park: hippies, Elvis impersonator, and Ras-tafari vibes, mon! All images crypto-copyright Steven Streufert, 2009; but you're welcome to use them non-commercially with photo credit and an email to let me know where they'll be appearing. Bigfoot Miscellany: Lost World Found! More!